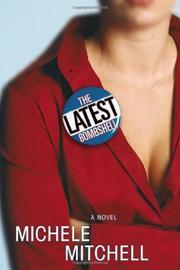 A spunky young consultant gets embroiled in a vicious government scandal. In her day job as political anchor and senior political correspondent for CNN Headline News—likely tough work but still essentially a seat at the kiddie table of TV journalism—Michele Mitchell has obviously absorbed more than her share of Beltway insider info. Normally this would spell doom for a story set mostly within that same, self-obsessed region, but in her first fiction Mitchell (A New Kind of Party Animal: How the Young Are Tearing Up the American Political Landscape, 1998) manages to stitch the politicking into her story so seamlessly that you’re never able to confuse the book with a lengthy, fictionalized op-ed piece (à la Danielle Crittenden). Kate Boothe is a young political consultant taking a break in Rome with her aristocratic Chinese/Italian boyfriend when a bombshell drops back home: an ex-boyfriend of Kate’s, muckraker extraordinaire Lyle Gold, has been accused of passing secrets to the Chinese. Zipping back to D.C., Kate and her lady-killer partner Jack crank up their small office’s p.r. machinery and try to exonerate Gold in the eyes of the public (and the law). An angered federal government and a media machine in full heat are soon bearing down on Lyle (and, later, Kate), one of the scandal’s main players gets bumped off in the D.C. subway, and Kate and Jack’s other clients want to bail. Two things keep this material fresh: first, the pointedly post-9/11 setting, where near-McCarthyism flag-waving seems not so far away (Mitchell’s not-so-veiled digs at Ashcroft, Karl Rove, Cheney, et al. are sharper than expected), and, second, Kate’s affecting resourcefulness (hardly the superwoman, she still never falls apart in the neurotic panics so beloved by many young female writers). If Mitchell plays her cards right, this could be first in a series of Kate Boothe novels. Beats Joe Klein at his own political insider game.